While flipping through our premiere issue, Toluca Lake resident Angela Niemeyer was struck by the vibrant tiled steps that Senior Editor Sarah Scott pointed out as one of her favorite architectural details of the neighborhood. Having rented the Spanish-style home in 2015, Niemeyer recalled one of the best Halloween portraits that was snapped of her family on those very steps. Along with sharing the photo with us, she expressed her love for this community and the beautiful memories her family has made here. Below is Niemeyer’s letter to the editor. Thank you, Angie, for sharing your neighborhood experiences and favorite places with us! My husband and I met one another in 1999, while working for Starcom Leo Burnett Chicago. When the agency won the Disney account in 2002, they relocated 60 young, ambitious advertising executives to the valley. We were the eager ones. While there was pure excitement for the opportunity, there was also a tremendous amount of fear. Would we ever find a perfect community? Would we ever find “home”? For those first few years, we rented a small apartment on Kling Street. During our early morning walks through the neighborhood, we would marvel at the giant white picket fences surrounding such beautiful architecture. Each tree-lined street seemed to have so much history, so much depth. We immediately knew Toluca Lake was where we wanted to plant our own roots. And so, we went to work. After several months at Starcom L.A., our careers took us down separate paths. My husband built a solid career in out-of-home advertising and I went the client, print and digital advertising route. Careers aside, we somehow managed to focus just as much energy on each other. We were married in 2006. We welcomed our first child in 2009 and our second in 2012. Shortly after, we decided to go into business for ourselves and in 2013, we opened an out-of-home sales and marketing firm near the Hollywood Bowl. Now, some of our most wonderful co-workers, mentors and friends are also our most trusted clients. Developing our business has allowed us the freedom to work hard while also enjoying every moment together with our children. 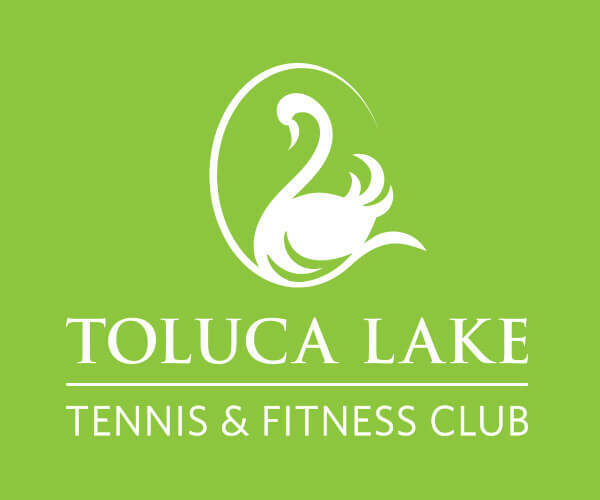 Over the past nearly 17 years, we’ve lived in Toluca Lake. We purchased our first home on Arcola Avenue from an actress who lived her childhood dream on these streets. Our promise was to stay true to the original structure, and we did. We took the baton and ran with it. After five years on Arcola, we found our dream home on Sancola Avenue. Like many older homes in our neighborhood, our humble abode needed a lot of tender loving care. Again, our promise to preserve the original structure meant a year and a half of TLC. We needed to find a place to live, and quick! Our wonderful community provided us the opportunity to rent a lovely Spanish-style home near Lakeside, the architecture of which is featured on Page 16 of your premiere issue. 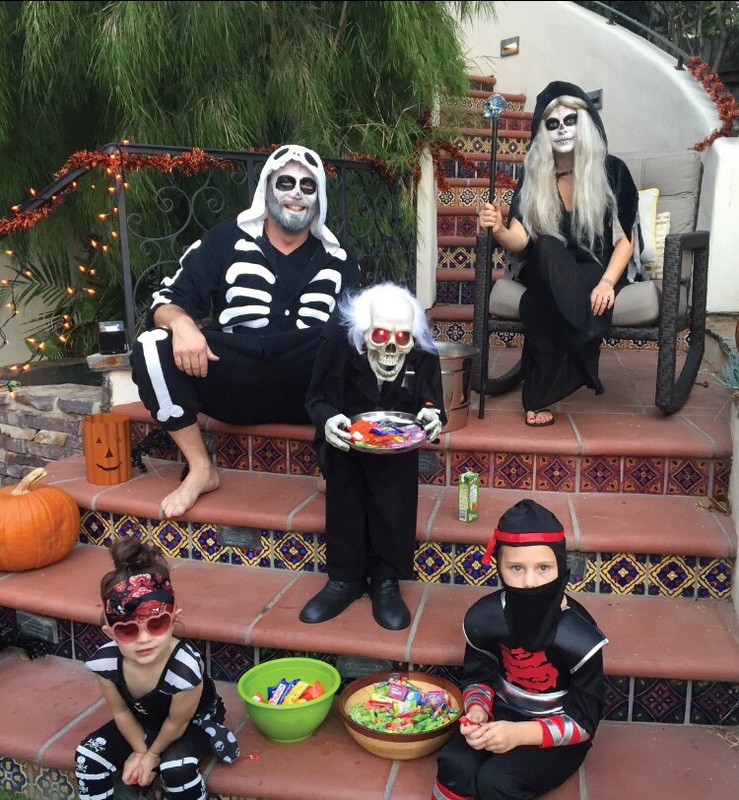 We have one of our best family photos from Halloween 2015 on those steps! Like many families in Toluca Lake, we consider ourselves blessed to live in this hidden gem tucked away in such a vast city. Our memories are endless … the Fourth of July parade through Toluca Woods; the marvelous caroling truck that strolls right past our front steps during the holidays; our weekend bike rides to Paty’s for the perfect breakfast and a glimpse of the Toluca Lake story dating back to the early 60s spanned across her walls; or our weekly pit stop at the farmers market for anything locally grown. Let’s not forget our happiest of hours at Forman’s for rustic eats, a craft beer or specialty cocktail, our occasional date night stroll to Kabosu for sushi … The list goes on and on.